One of the most important and exciting areas of industry development is light field acquisition, processing, distribution and display. This ecosystem is being developed for a wide range of professional and entertainment applications. Light field displays offer the potential to deliver high fidelity three-dimensional images with a look-around or even walk-around potential. Today, a great deal of energy is being focused on cinematic and 360-degree capture for eventual delivery to light field-based displays and VR/AR headsets. The entire ecosystem faces tremendous technical challenges to deliver on these promises. One key element in this ecosystem is the delivery of light field data over a network to a light field display solution. There are no standards for how data should be structure (video images or mesh and textures), what metadata should be transmitted, what compression methods can be used and how will displays interpret this data. Compounding the problem are a wide variety of capture or generation methods and display architectures. Plus, the bandwidth challenges are significant. Now, thanks to the Air Force Research Lab (AFRL) at Wright Patterson Air Force Base, a series of workshops can be organized to discuss these light field ecosystem issues. 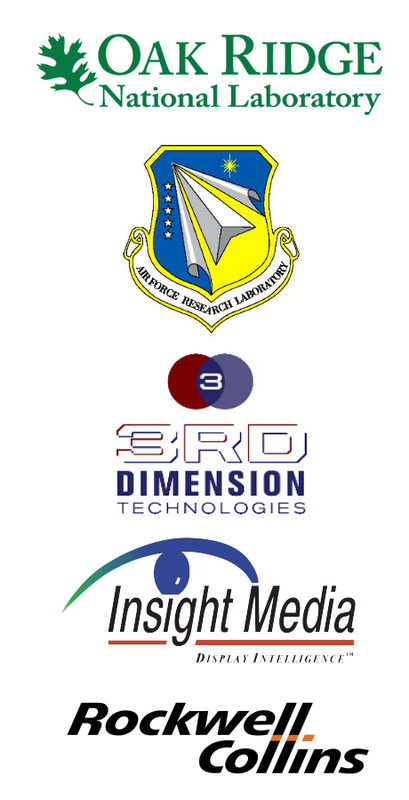 Under a Phase II contract, Third Dimension Technologies (TDT) and Oak Ridge National Laboratories will also be developing a proposal for a standard for the streaming of light field data to a light field display. This is termed a Streaming Model for Field-of-Light Displays (SMFoLD). On October 28, 2016, TDT in partnership with Insight Media organized the first all-day workshop in conjunction with the annual conference of the Society of Motion Picture and televisions Engineers (SMPTE) in Hollywood, California. The presentations and videos of the speakers and panel discussion at this workshop is available for public viewing on this web site. For 2017, TDT and Insight Media produced the second SMFoLD workshop (October 3) in conjunction with Display Summit (October 4-5) in Sterling Virginia. This workshop featured presentations on light field acquisition, display, standards activity and candidate streaming models.